Treat your skin to the multiple benefits of the TIA Sonic Skin Care System from BeGlow, an all-in-one beauty device that effectively cleanses, lifts and tones the appearance of skin. The innovative device delivers 3-in-1 benefits: Cleansing, Anti-Ageing and DualPulse Contouring. Cleansing - Fully waterproof, it features a replaceable silicone brush head for ultra-hygienic and unrivalled cleansing; it removes impurities more effectively than manual cleansing to leave skin feeling fresh and decongested. The silicone head can be removed for easy cleaning. Anti-Ageing - The titanium applicator can be applied to wrinkle-prone areas to help improve circulation. 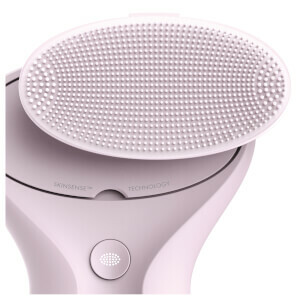 Its unique pulsation helps to improve the appearance of skin and minimise the look of pores. DualPulse Contouring - An effective 'lifting' mode that targets problem areas such as double chins and sagging jawlines to help stimulate, strengthen and 're-contour' the look of skin. The rechargeable sonic device utilises dual-pulse technology for a customised experience; it delivers low and high frequency pulsations which help to increase the strength and definition of facial muscles, including the jawline and cheekbones. Gentle SkinSense technology allows pulsations to build on contact for a natural increase in intensity, while its anti-ageing titanium applicator encourages healthy circulation to leave skin looking radiant and energised. Simply adjust the pulsation rate to suit your needs; experience an energising morning ritual, or soothing night-time regime. STEP 1: Cleansing - Apply your favourite cleansing product and TIA will enhance its effect. Press control button 1 to start Skin Sense cleansing. The pulsation starts when cleansing brush touches your face. Adjust the pulsation according to your needs. Press control button 1 again to enter the standard cleansing mode. We advise to change the brush head once a year. STEP 2: Anti-Ageing - Activate the anti-ageing applicator with control button 2 and press its titanium surface to the wrinkle-prone areas. 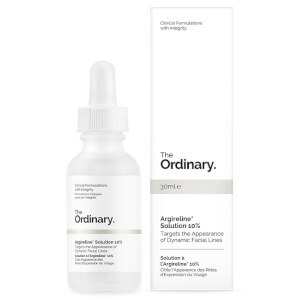 The applicator has a unique pulsation, which helps improve blood circulation, reduce the visibility of pores and enhances the absorption of skin care products. STEP 3: DualPulse Contouring - Press and hold control buttons 1 and 2 for 3 seconds to start the lifting mode, targeting double chin and other problem areas.